"The Hobbit" was written by JRR Tolkien, an accomplished linguist and professor of medieval studies at Oxford. In the book, "The History of The Hobbit", by John D. Rateliff, we learn that the story was told to his children before and during the writing of the book. The story is easy to read aloud, and is not dated in style more than 70 years later. 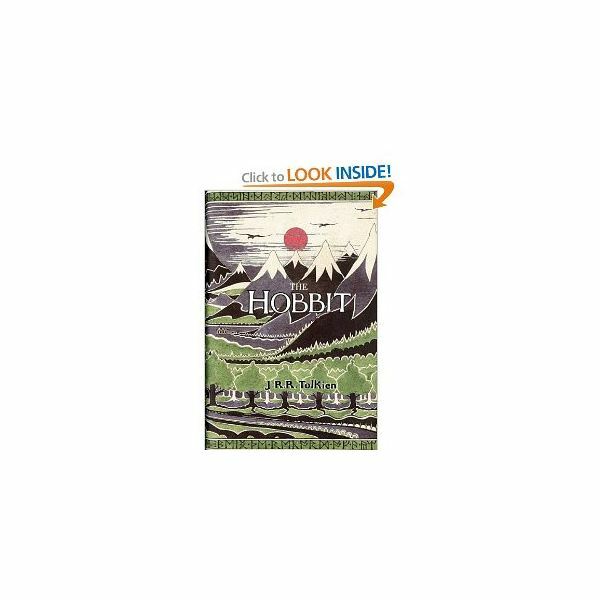 "The Hobbit", first published in 1939, has become one of the most loved fantasy books of all time. The phrase, "In a hole in the ground there lived a hobbit" is almost as familiar as, "Once upon a time…". Bilbo Baggins is the hero of the story, and his journey "There and Back Again", the subtitle of "The Hobbit", is a hero’s journey. Bilbo is a comfort loving hobbit, like most, although he has Tookish ancestors who had more adventuresome lives. When Gandalf the wizard offers to send him adventuring, he refuses, and invites him to tea to change the subject. Gandalf leaves and Bilbo forgets. A dozen dwarves and then Gandalf arrive the next day, to his surprise, and he entertains them all, unexpectedly having to feed them everything in the larder. They sing songs about the love of gold, and discuss their planned adventure, and Bilbo, to his own surprise, offers to join in. Gandalf gives the dwarf leader, Thorin Oakenshield, a map and key from his ancestors and Bilbo goes to sleep, already regretting his decision. Gandalf awakens Bilbo and sends him off to join the dwarves, without any luggage. The journey starts, and they have a pleasant journey at first. Gandalf leaves them alone one evening, and they see firelight in the distance. Bilbo is sent to investigate, and through his ineptness, is caught by trolls. When the dwarves try to rescue him, they are caught as well. The trolls are going to eat them, but begin to argue about the way to cook them. They argue until the sun rises, and the trolls turn to stone, for it is Gandalf who keeps them arguing. They explore the next day and find the foul lair of the trolls. There are treasures and weapons inside. Gandalf and Thorin take swords and Bilbo a knife long enough to be a short sword for him. They bury the rest of the treasure and start off again. They leave soberly, and after days of travel come to the foothills of the Misty Mountains. Gandalf tells them there is a place to stay with a friend – the Last Homely House – and after much searching they find it. They are welcomed by the elves. The lord of the elves, Gandalf's friend Elrond, examines their swords and map, and names the swords. He finds additional runes on the map, giving directions for opening a door on Durin's Day, which they do not really understand. They are headed down the right trail and travel up into the mountains, looking for the pass. Bad weather forces them into a cave, which appears harmless. While they sleep goblins come in through a secret door and attempt to take them prisoner. Bilbo awakens, yells, and the dwarves and Gandalf fight the goblins. Gandalf disappears in a flash of light, and the dwarves and Bilbo are taken prisoner. They are being brought before the Great Goblin, who harangues them and tells them they are to be executed. The lights go out and the Great Goblin is killed by the sword belonging to Gandalf. His voice leads the dwarves out from the cavern. They are pursued, and eventually attacked. Bilbo, who has been carried by Dori, falls and is knocked unconscious. Bilbo wakes, alone, and begins to crawl blindly. He feels a little metal circle in the dark, puts it in his pocket, and continues crawling. Eventually he is found by the creature Gollum, named for the sound he makes. He bargains with Gollum, agreeing to play a riddle game. If he wins, Gollum will show him the way out, and if he loses, Gollum will eat him. He wins, but Gollum is unwilling to abide by the rules and goes to get his Birthday present, a magic ring of invisibility. It is not there. Gollum decides Bilbo has stolen it, and Bilbo, frightened, slips the ring in his pocket onto his finger. He disappears. Enraged and disturbed, Gollum goes up the passage to the entrance out of the caves, trying to find Bilbo, and Bilbo follows. He jumps over Gollum and squeezes through the partially open door, leaving many of his buttons behind, and is outside. Bilbo wanders around outside and eventually finds the dwarves and Gandalf. He sneaks into camp, invisible, and shows himself. They welcome him gladly, but he doesn't mention the ring. They are on the far side of the mountains now and go down the mountainside as fast as they can, afraid of pursuit. At nightfall, goblins come out and chase them, with the help of Wargs; the evil wolves. They are trapped in a clearing, and climb trees, except for Bilbo, who cannot reach. Dori boosts Bilbo into a tree as the Wargs attack, and barely reaches safety himself. The goblins start fires around the five trees, and as the trees catch fire they sing and taunt them. When all seems lost, eagles fly down from the sky and carry them off. Bilbo is overlooked, but is carried along holding tightly to Dori's legs. The eagles fly them east, to the plains beyond the mountains leaving them at a great rock. Gandalf tells them they are going to the home of someone who lives near, a skin changer named Beorn who takes the form of a bear, and they must be on their best behavior for he does not like strangers. When they have found Beorn's home, Gandalf has the dwarves stay back while he and Bilbo go to meet Beorn. They are to follow at intervals. They meet Beorn, and his trained horses, and Gandalf begins to tell their story. He engages Beorn, and as the dwarves come in pairs; the story includes more people. Beorn, who would not allow so many visitors together, is beguiled by the story and welcomes them, feeding them and giving them a place to sleep. They are warned not to venture outside until morning. Beorn is gone the next day, and so is Gandalf, until dinnertime. The following day Beorn is back, cheerful, for he has found their tale is true. He loans them ponies and gives them food and water for their journey through Mirkwood along with much advice. The journey to the edge of Mirkwood takes several days and Bilbo spots the figure of a giant bear watching them in the evening. At the edge of Mirkwood, Gandalf tells them he is leaving, much to the dismay of the dwarves. He tells them they will find Mr. Baggins useful, and leaves, taking the ponies back to Beorn. The forest is disturbing and they sense that they are being watched as they walk. They travel on the path for days, eventually using all their provisions and water. Despite Beorn's warnings, the hungry dwarves leave the path, wandering hopelessly looking for food. They try to crash the feasts of the woodland elves and get even more lost. Giant spiders catch the dwarves in webs, and they are hung up like clothes on a clothesline. Bilbo, alone, finds out that he has the capability to rescues the dwarves with ingenuity; the help of his magic ring, and his little sword, which he names Sting. The starving dwarves are rescued from the spiders and then see another feast. They are taken captive again, by the elves this time. Invisible, Bilbo follows them. At the last moment, as the doors are closing behind them, Bilbo dashes after them into the underground palace of the elven king. Bilbo remains invisible, stealing food when he can and trying to locate the dwarves. The elven king frequently has Thorin taken from the secret cell he was imprisoned in, trying to discover the plans of the dwarves. Thorin tells him nothing. After a long time, Bilbo is able to locate the cells of all the dwarves, and reveals himself to them, telling them he has a plan for escape. His plan does not really exist, and he seizes what he see as an opportunity from desperation. Bilbo packs the dwarves into empty barrels while the elves are occupied with a great feast. The barrels are pushed into the river for return and Bilbo realizes he has not provided for himself. He jumps in after the barrels as the gate closes. The barrels float down the river toward Lake-Town, piloted by elves. When they pull the barrows out of the current and settle to sleep, Bilbo opens the barrels under cover of night releasing half-drowned dwarves. The elves bring the barrels to Long Lake, followed by the dwarves. They reveal themselves to the Master of Lake-Town at a feast, and are welcomed; although, the elven river men exclaim they are escaped vagabonds. Bilbo has a terrible cold. The Lake men welcome them, for their tales fits prophecies of deliverance from the dragon. Eventually Thorin tells the Master they must go on to the Lonely Mountain, to his surprise, because he thought them to be imposters. He gives them supplies and ponies and they travel toward the mountain. The party reaches the mountain and sees signs of the dragon. They set camp up away from the main gate and explore the mountainside looking for a way inside the mountain, and become discouraged. A few dwarves continue looking, along with Bilbo, who discovers the doorstep shown on the map Gandalf gave Thorin, but no way inside the mountain. Eventually Durin’s Day arrives as the autumn progresses. Bilbo sees a keyhole shown by the light of the setting sun and the rising moon, and persuades Thorin to insert the key he received with the map from Gandalf. The door opens. The dwarves turn to Bilbo to fulfill his role as burglar. Bilbo ventures inside, putting on the ring. He has changed in many ways since leaving the Shire, but taking the final steps down the path are the hardest thing he has ever done. He sees the sleeping dragon and steals a gold cup, taking it back to the dwarves. Smaug wakes and realizes he was robbed. While Bilbo and the dwarves cower just inside the passage, Smaug flames the mountainside and their camp, eating their ponies. Bilbo goes back down the passageway and talks with the dragon, telling him riddles but not his name. Smaug tries to make him uncertain of how the dwarves will treat him. He postures, and Bilbo sees an unprotected spot on Smaug's chest. He taunts Smaug somewhat and the dragon roars flames after him when he runs. When Bilbo reaches the top, he tells the dwarves they need to hide inside the passage and shut the door, for the dragon is angry. They close the door part way and huddle inside, talking of the treasure Bilbo described. They remember tales told of the treasure, including the Arkenstone – a giant white gem found at the heart of the mountain. Nervous, Bilbo is sure that Smaug will emerge and hunt them all. He persuades them just in time, and they shut the door as Smaug wrecks the mountainside. Smaug then flies off to punish Lake-Town. The dwarves wait inside the door in the dark for Smaug's return, but hear nothing. When they try the door, the rock has been shattered and broken – there is no hope of escape that way. After some time passes, Bilbo says they should go down the passage way after him, and they all venture down the passage way to the dragon's lair. Bilbo goes a little ahead, trips, and calls out, but Smaug is not there. He calls for light, and the dwarves, who are waiting a little way back send for their torches. Bilbo takes one and ventures into the cavernous lair. The dwarves see the little light climbing as Bilbo clambers up the pile of treasure. At the top, he pauses a moment and moves onward. Though the dwarves don't realize, he sees the Arkenstone, and is enchanted by it. He picks up the huge gem, tucks it into his deepest pocket, and tells himself he is really a burglar, Although the dwarves have told him he can pick his own share, he is sure they did not mean the Arkenstone. He goes on without seeing any sign of Smaug, and after a stumble where his torch goes out, the dwarves venture out to bring a torch to him and explore the heap of treasure. Lust for gold makes brave the dwarves' hearts, and they wander boldly through the treasure. Some arm themselves and then put treasure in their pockets, while Fili and Kili play enchanted harps. Bilbo is given a coat of mail made for a young elf prince, long ago. Thorin looks for the Arkenstone, although he doesn't say so. The treasure bewitches them, Bilbo eventually calls them to leave the treasure and find a way to escape from the mountain, for they do not know when Smaug will return. They make their way to the front gate, and stand in the breeze, but see no sign of Smaug. Balin tells them of an old lookout post. There they camp, and look again for the dragon. He cannot be seen, but they do notice many birds gathering in the South. After destroying the mountainside, Smaug flies down the lake to Lake-Town, believing the men there came to steal his treasure. Bard, a descendant of the ruler of Dale, sees a light upon the Lonely Mountain, and realizes it is the dragon, unlike others who see it as a sign the dwarves are making gold again under the mountain. He rallies the town, and they cut the bridge to land and make ready for the attack of the dragon. Smaug is fearsome and sets much of the town afire. Bard fires most of his arrows at the dragon, but his arrows, like those of the other's, do little more than irritate the dragon who is armored with scales and gems. Despairing, he is down to one arrow, when a thrush settles on his shoulder and tells him about the vulnerable spot Bilbo saw. Bard uses his last arrow to fire into the spot under Smaug’s wing, and kills the dragon. The dragon falls on Lake-Town and completes the work of destruction. Bard comes out of the lake as people morn his death, and they acclaim him, but he chooses to work with the current Master of the town to deal with all the destruction. They assume the dwarves are dead, and he thinks about the dragon’s hoard of gold as do many others in the town. Word of the dragon’s death spreads rapidly carried by birds. The elf king hears of it, and gathers an army to march to the mountain. Word goes to the goblins of the Misty Mountains, the Eagles, and Beorn. Bard sends word to the elf king about the plight of Lake-Town, for the town is friendly with the elves. The elf king is good-hearted, and turns aside from the straight path to the Lonely Mountain, sending ahead many supplies to the homeless. The dwarves are in doubt about what has happened for some time, but the ravens and the thrush communicate what has happened to Smaug, telling them that many people are on their way to the mountain. The dwarves are filled with rage, for the lust for gold is very strong. They begin to fortify the front gate to the mountain hall. The raven counsels’ peace and sharing the gold, but Thorin is adamant that the treasure belongs to the dwarves. He sends the raven to ask his cousin Dain for help in defending the mountain. Thorin also intensifies the search for the Arkenstone. When a delegation come to the mountain and finds the wall the dwarves have built, they try to parley, but Thorin will not listen, although Bard reminds him the Lake people helped him in his time of need. The delegation requests that Thorin give one twelfth of the share of the dragon’s treasure to Bard, as the heir of the ruler of Dale and slayer of the dragon, but Thorin fires an arrow and declares the mountain besieged. Bilbo is deeply disturbed by the dwarves' behavior. He does not feel the same lust for the treasure. The dwarves are looking everywhere for the Arkenstone – which is hidden in a bundle Bilbo used as a pillow. The ravens tell the dwarves that Dain is near, with an army of dwarves, and again counsel peace with the men and elves. Thorin rejects the idea. Bilbo gets the start of an idea. When Dain comes close to the mountain, he persuades the dwarf watching at the gate that night to let him take his place. When he leaves, he climbs down carrying the Arkenstone. He goes to the tent of the leaders. Elves seize him, and he tells them to bring him to Bard, if they want the siege to end. Bard and the elven king greet him, and he shows them the letter from Thorin promising him one fourteenth of the profits of the adventure. He tells them Thorin Oakenshield would rather sit on a heap of gold and starve than share. Bard says let him starve, but Bilbo tells them about Dain. They ask if he is trying to betray the dwarves, but he explains he has thought of a way to end the siege without bloodshed and shows them the Arkenstone. He gives it to them, telling them it is the heart of the mountain and of Thorin, and that they can consider it Bilbo’s share of the treasure, and use it to bargain with Thorin. He refuses to stay in the camp, and returns to the dwarves. As he is leaving Gandalf greets him and praises his action. Bilbo returns to the wall, and wakes the dwarf whose place he took when the watch is over. He goes to sleep worrying about what will happen. Men and elves call Thorin to the gate the next morning. He comes thinking they heard Dain was coming. They show Thorin the Arkenstone, and offer to trade it for a share in the treasure. Thorin is furious, and Bilbo tells him he gave them the Arkenstone. Thorin abuses him, and threatens to throw him off the wall, but Gandalf intervenes. Bilbo is bundled off and Thorin agrees to exchange Bilbo's share of the treasure for the Arkenstone. Some of the dwarves are ashamed of his treatment of Bilbo. Dain approaches the next day, with 500 dwarves. Elves and men are reluctant to let him pass for fear that the agreement with Thorin will be dismissed. As they confront one another the sky darkens. Gandalf cries, "Halt! ", and tells them the goblins of the north and the Wargs are fast approaching. Dain joins with the elves and men against the goblins and wolves in the battle of five armies. The battle goes badly for the men, elves and dwarves. Bilbo, who has gotten out of the way and used his ring, sees shapes in the sky – eagles are coming to help. He shouts and is knocked unconscious by a stone. Bilbo wakes to find the battle is over. Invisibility might have saved his life, but it also ensured a cold uncomfortable night. When he is found at dawn, he learns a little about the end of the battle, and is taken to see Thorin Oakenshield. Thorin is dying, and his nephews Fili and Kili were killed trying to defend him. Thorin tells him he repents of his harsh words before the battle. He tells Bilbo the world would be better if more cared for food and cheer above gold. Bilbo is sad, telling him he is glad to have shared in his adventure. Bilbo learns about the battle, and how even after the eagles came into the battle, the battle was not going well, because there were many more goblins and wolves than those fighting against them. When all seems lost, Beorn appears in the shape of a bear. He rescues Thorin, and then kills the chief of the goblins. The goblins lose heart and flee and are pursued and killed. Thorin is buried with the Arkenstone. The living dwarves remain with Dain, who becomes King under the Mountain. Bilbo bids them farewell, taking only as much treasure as they could fit on the back of a pony. Bilbo and Gandalf travel with the elven king to Mirkwood, where Bilbo gives the king a necklace in return for his inadvertent hospitality. He and Gandalf have adventures on the way home, but they are never in great danger. They stop and visit with Beorn and stay there for Yuletide. Beorn goes on to become chief of the surrounding area, and his descendants inherit his ability to skin change. They leave when spring comes, for Bilbo is growing homesick – the Tookish part of him is weary. Bilbo and Gandalf reach Rivendell nearly a year after they left there. Tired, they are warmly welcomed by the elves, and hear songs of the victory over the dragon and the battle of five armies. Gandalf and Elrond discuss the Necromancer, who was driven from the south of Mirkwood by Gandalf and the White Council of wizards, for that is where Gandalf went after leaving the dwarves. They believe Mirkwood will become more wholesome, but worry the Necromancer was merely driven away, not destroyed. After a week, Bilbo and Gandalf set on the last leg of their journey back to the Shire. Along the way they pass the stone trolls and dig up the treasure they had buried there. Everything Bilbo sees is familiar from the beginning of the journey, but his reaction is to sing songs – not a habit he previously had. When they reach Hobbiton, and Bilbo's house at Bag End, they find a crowded yard, with the possessions of the late Bilbo Baggins being auctioned off. Though the auction is halted, Bilbo never gets back many of the items already auctioned. His cousins, the Sackville-Bagginses, are deeply disappointed, for they had been planning to live in Bag End. Bilbo has looked forward to the comforts of his home, and enjoys them, but is truly changed. He has many non-hobbit visitors over the years, and is no longer considered respectable. He keeps the magic ring a secret, and few believe his stories, although he writes a book of memoirs – "There and Back Again, A Hobbits's Holiday". Balin and Gandalf visit him, and to his surprise he hears about how the songs and prophecies of their visit to Lake Town have come true. If you are truly fascinated by the book, catch up on "Really Great Quotes from "The Hobbit." If you are interested in learning more about the names used by Tolkien in "The Hobbit", take a look at reviews of name generators for the different races found in Middle Earth. Rateliff, J.D. The History of The Hobbit, Houghton Mifflin Harcourt, 2007. This summary is based on the numerous readings of the book by the author. All inaccuracies are the fault of the author’s memory and typing.